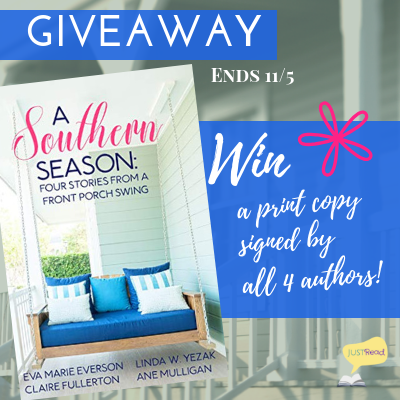 (1) winner will receive a print copy of A Southern Season, signed by all 4 authors! (US only) Enter via the Rafflecopter giveaway below. 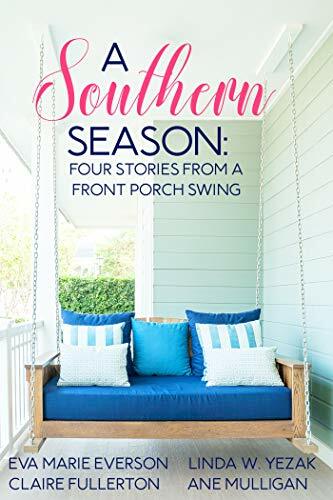 Giveaway will begin at midnight October 30, 2018 and last through 11:59pm November 5, 2018. US only. Winners will be notified within a week of close of the giveaway and given 48 hours to respond or a new winner will be chosen. Giveaway is subject to the policies found here. “When did he die?” I asked. A light breeze billowed the sheer, startling me as it brushed across my arm. I wanted to correct her. On so many levels, I wanted to correct her. There were no angels coming through the curtains, I wanted to say. And if they did, it wasn’t God who sent them. Because why would He? The way I figured it, God was too busy to care enough to send them or anyone else. Or perhaps too apathetic. Hadn’t she learned that much from losing her husband? Previous ArticleThings I Loved in October + Monthly Wrap Up!